Paper on the evaluation of compliance costs of the regulation – the case of the integrated reporting of pollutant release and transfer. Vejchodská E., Slavíková L., Malý V. (2016): Evaluating the Regulatory Burden: Pollutant Release and Transfer Reporting Costs. 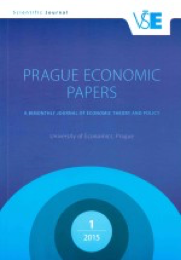 Prague Economic Papers 26/6: 671-685. DOI: 10.18267/j.pep.583.